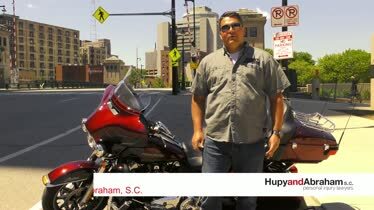 Motorcycle Accident Law Firm in WI, IL & IA | Hupy and Abraham, S.C. 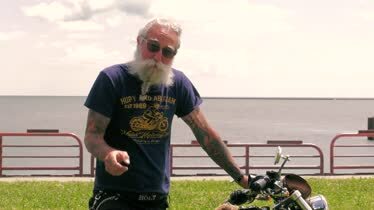 The Law Firm That Rides Motorcycles Call Hupy and Abraham to handle your motorcycle accident case. We have the experience to get you an excellent settlement. If you’ve been injured in a motorcycle crash, then you need an experienced lawyer who is also a rider. Hupy and Abraham is recognized as one of the top motorcycle accident litigation firms in the country, and our attorneys have secured tens of millions of dollars for the more than 4,000 injured riders whom we have represented. Insurance companies know you mean business when you hire Hupy and Abraham to represent you. We provide tough, aggressive, and compassionate representation to each client, and we offer each client a win or it is free guarantee. The police and emergency first responders will be dispatched to the accident scene. This will allow the police to secure the scene to prevent further accidents and to investigate your bike crash. 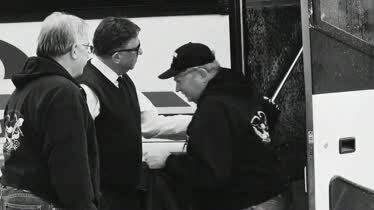 It will also allow emergency medical technicians to assess you and anyone else injured in the accident. Medical assistance does not end once you leave the scene of the crash. It is important to have your injuries diagnosed by a doctor and to have an appropriate treatment plan created. Then, it is important to follow the treatment plan until you have healed or reached the maximum medical improvement you will achieve. Anything that you say can be used against you in a motorcycle accident injury case. Therefore, it is important to be cautious with insurance adjusters, on social media, and with anyone else who is not your attorney. Keep copies of all of your accident-related bills and receipts. Additionally, it is useful to keep a journal documenting your pain and the activities you cannot do because of your injuries. Contact an experienced motorcycle injury lawyer. Our motorcycle accident injury lawyers are more than just personal injury attorneys. We are also riders. We are very involved in supporting riders’ rights, changing laws, and wearing colors. Insurance companies know that we mean business—and will fight for your full recovery. Our attorneys are leaders in motorcycle litigation. Learn about us by reading what our clients are saying about our Wisconsin, Iowa, and Illinois lawyers. Our motorcycle accident attorneys have represented more than 4,000 motorcycle injury clients in Wisconsin, Illinois, and Iowa. We have more than 25 lawyers and 175 support staff who can help you at any of our 11 offices. And if you can’t come to us, we will come to you. Get the local help you need from a law firm with a national reputation for excellence. We have successfully recovered more than $1 billion for our clients in Wisconsin, Illinois, and Iowa. Tens of millions of dollars have been recovered for our motorcycle injury clients alone. Here, you can browse through our most recent motorcycle accident injury settlements and verdicts to learn more about each unique case and the difference we’ve made for our fellow riders. If you’ve been hurt in a motorcycle crash, then you need help now. Our law firm is available by phone, online chat, or online contact form 24/7/365. Contact us today to schedule your free and confidential consultation. Behind the Handlebars - ABATE of WI Lobby Day - Lenny Young Behind the Handlebars Host Tony "Pan" Sanfelipo interviews Lenny Young of ABATE of PA about his involvement in ABATE of WI's annual lobby day . We've Represented Over 4,000 Injured Bikers Make the right choice after an accident. There's a reason other law firms don't say how many injured motorcyclists they've represented. 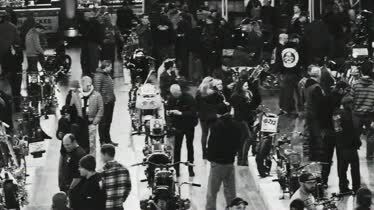 Behind the Handlebars - Pan's 2019 Mama Tried Walkthrough Behind the Handlebars Host Tony "Pan" Sanfelipo goes on a walkthrough at the 2019 Mama Tried Motorcycle Show in Milwaukee, WI.